I had the Olympic White version of this guitar a couple of years ago but I sold it to buy a 69RI LPB Compstang. It was a decision I always kind of regretted as these 65 reissue (or 'Classic Series') Mustangs are far superior and in my opinion equal to US-made Fenders. Anyway, this Daphne Blue one popped up for sale locally and I immediately jumped on it. I put Mojo pickups in and it's perfect. The Compstang will now go. Yeah, I love Daphne Stangs. Have always gone back and forth when it comes to 65 RIs vs 69/72 RIs. Have never owned either. Comparing my 69RI to my 65RI is like comparing a regular CIJ/MIJ Jaguar/Jazzmaster to an AVRI. The 69RI is very good, just like all CIJ/MIJs are, but the 65RI is in a different league. 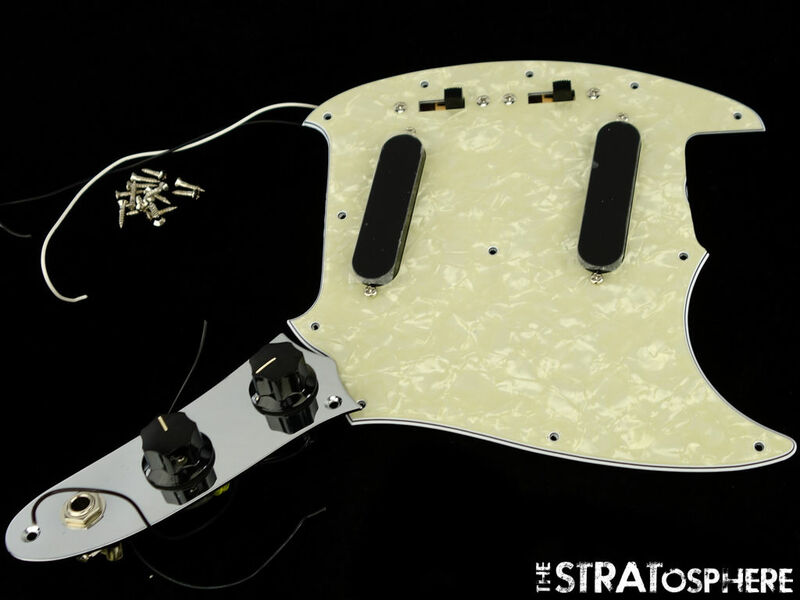 It has better pickups (with cloth wiring), thicker and shinier control and vibrato plates, a bridge without gaps between the saddles, proper brass shielding plates, Switchcraft switches and jack, CTS pots with US-size knobs, an actual bone nut(! ), and a vintage-correct body shape with smoother edges. The 65RI is also made of poplar (as were the originals), which is maybe why it's much louder acoustically too. In my experience the only reason to favour the 69RI would be because you had to have the competition stripes and/or the body contours (which aren't even needed on a Mustang-size body). I can't speak for 72RIs but I assume they're largely the same specs as the 69s. I actually favor MIJ Jags over AVRI because I prefer the necks. I've heard others say they prefer 69RI Stangs to 65RI for the same reason. Can't ignore the added features on the 65 though (especially the bone nut). Thanks for the rundown. Yeah, fair point about the thinner necks on the 69RIs. And I guess you don't have the matching headstock option with the 65RI. I should have bought one of these when Best Buy was clearing them out but I balked. They really are nice guitars. How much were they during the Best Buy clear out? I know I'm being finicky about 65 vs 69, but in reality I'd love to have either if the price were right. I've had a Musicmaster and a Jag-Stang but never an actual Mustang. It was around $500 can't remember the exact price because they had the '65 and the Pawnshop. New 65RIs are rare and crazy expensive. Used bargains can be had though. Edit: In the UK, anyway. Could you tell us more about the Mojo pickups? I'm considering some for my MG73. They're great; I've got them in all four of my guitars. Well priced and great service from the bloke (Marc) as well. I actually favor MIJ Jags over AVRI because I prefer the necks. What exactly about the neck on the MIJ Jag do you like versus the AVRI? I concur, all three of my guitars have Mojo pickups. Great bloke and the pickups make your guitar sound like they should do. In my experience, they are not the same shape... albeit I am comparing a mid-2000s AVRI Jag and a Vista Series CIJ Jagmaster (which has a Jaguar neck according to ss.org experts). I find the MIJ/CIJ neck to be slimmer and more comfortable. Not sure how to describe the shape exactly. The AVRI seemed to be more of a standard C shape. Felt a bit more chunky. Couldn't get on with it. The bottom line is that my hand often cramped after about 30 minutes of playing fast Barre and Power chords on the AVRI. I can play the MIJ/CIJ for hours. I'm sure that I'm overly sensitive... others on this board love their AVRIs. I've just become particular and love the feel of the Japanese-made stuff. I don't mind the shape of the Squier Jag necks either, but I'm not a fan of those big frets. Mojo pickups are ace. Reasonably priced, super fast delivery, and just sound ace. Shipping pickups to the States is cheap... now thinking about trying a mojo pickup. Fralins are great, too. 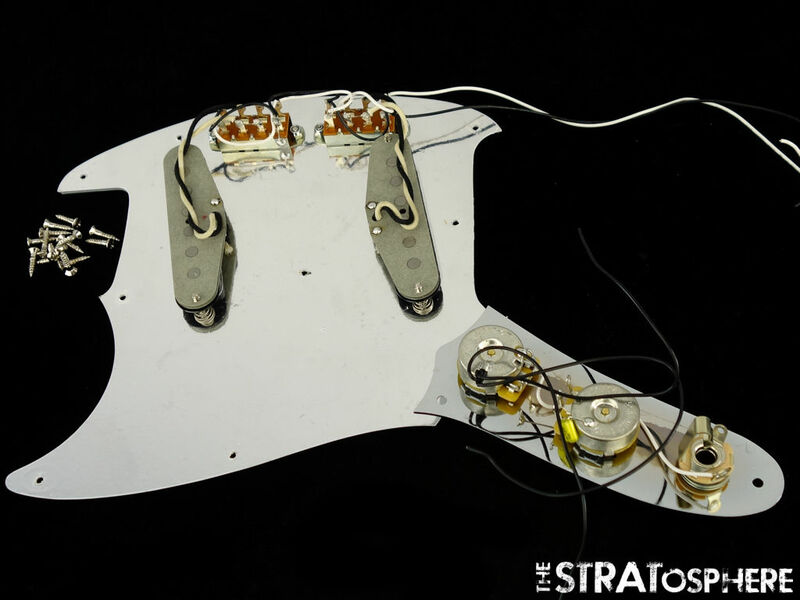 They'll make any of their Strat sets for a Mustang. I have the Blues Special set. But honestly, I really love the stock MG73 pickups the more and more I get to use them. I restored my favorite Mustang (the white one) to stock MG73 pickups, and it feels right on that guitar. I used to feel this way, but I've realized that a lot of these things are just a difference between eras, too. In the 90s, the Mustang RI you could buy overseas was what they'd call in Japan an MG69. In the 00s, the Mustang RI you could buy overseas was what they call an MG65 in Japan. The 00s MG65 is strictly better than the 90s MG69, but a lot of the build quality superiority that the 00s MG65s has over the 90s MG69s is reflected in the more recent MG69 and MG73 Reissues, too. That said, what you say about the wiring seems to be true. This is apparently what MG65s look like, and my MG73s have mini Alpha pots with split shaft press on knobs, not that there's anything wrong with that because that's usually the kind of pot that appears on most boutique pedals and boutique active bass preamps costing hundreds of dollars. I've always found that to be hilarious, that lot of people think US-spec CTS pots are the be-all end-all, yet look at the boutique bass world, where most knobs are Asian spec and Alphas are king. That said, the pickup switches look Asian, because the US spec switches are threaded whereas Japanese spec switches have a retaining hex nut.